Extension has traditionally involved getting results from researchers to decision-makers in agriculture. Partly because I work on climate change and agriculture, and partly because of the approach my team and the researchers we work with take, extension is, for us, a two-way street. In this article I want to highlight the “other” side of that street: how innovations that producers test out in real life complement research and supports future preparedness. 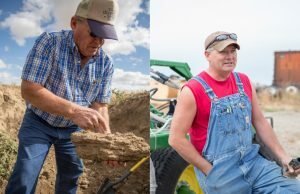 Both John Aeschliman (left) and Douglas Poole (right) practice no-till, though they farm with very different precipitation regimes. Photo: Alex Garland. In preparation for a new project I reviewed case studies and profiles others I work with published as part of the Regional Approaches to Climate Change – Pacific Northwest Agriculture (REACCH-PNA) project, which focused on dryland cereal production in a changing climate. These case studies tell the stories of producers who are implementing practices that break some mold, and that is leading to both interesting results and to benefits that will help them be prepared for future climates. Here I highlight the startling similarities in the stories of two farmers that farm in different precipitation zones. John Aeschliman farms in Colfax, Washington, with a range of precipitation up to 18+ inches annually. Doug Poole farms in Mansfield, Washington, with half that precipitation. 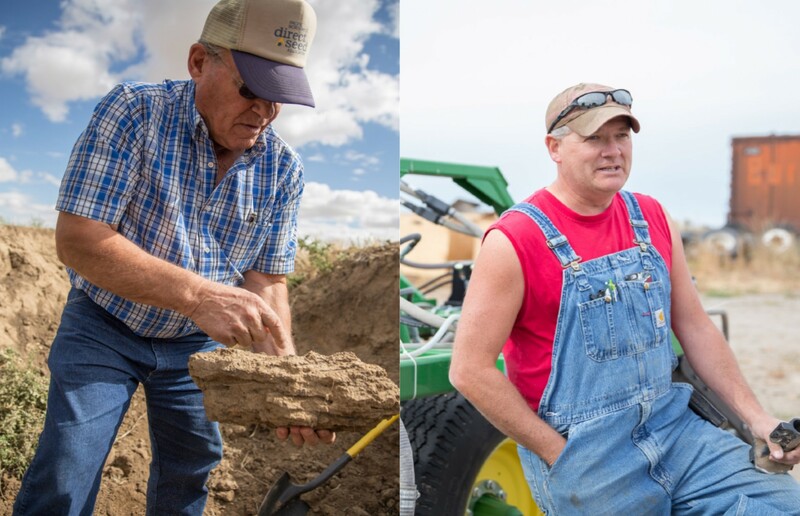 Both these farmers are innovative pioneers, and transitioning to no-till is a cornerstone of their innovations. And both no-till and innovation have implications for preparing for future climates. 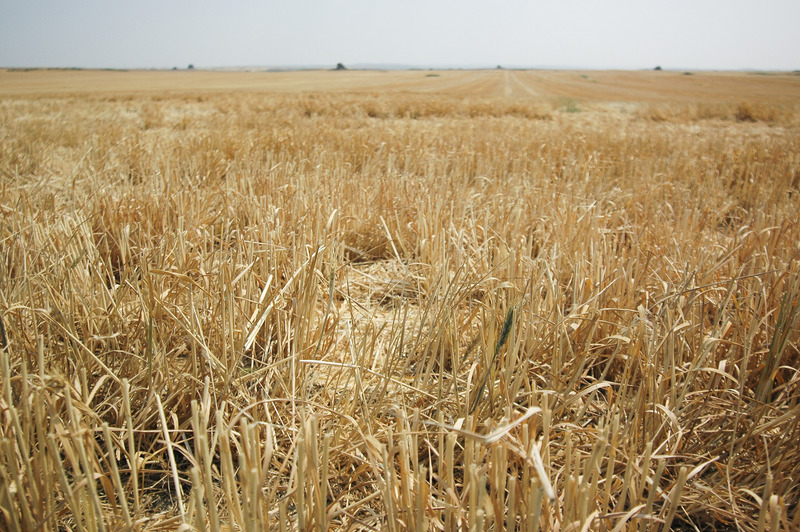 Aeschliman and Poole describe erosion as a primary concern that motivated them to try no-till. John Aeschliman talks of the mud that ran around his house every spring, and Doug Poole states proudly that after eight years of no-till his hill does not blow anymore. Both these farmers focus on the soil as the foundational resource that their crops—and their farm’s profitability—depend on. By increasing the organic matter content in the soil through no-till and other practices, they have increased the amount of moisture stored in the soil. And it is that increased storage that allows them to better sustain yields through wet and dry years. As we see more variability and weather extremes in the future, this buffering capacity of healthy soils may become even more valuable. Both Aeschliman and Poole also see opportunities opening up because they transitioned to no-till. Aeschliman continues to explore new frontiers, such as growing dryland corn in an area where corn is generally irrigated (soil moisture, anyone?). He’s also successfully brought fields whose Conservation Reserve Program contracts have expired back into production without losing the soil organic matter—and moisture storage capacity—built by having permanent vegetation cover for a decade or more. Doug Poole has innovated in different ways, incorporating first canola, and now sunflower, into his rotation. He’s also transitioning from chemical fallow to cover crops without using up the soil moisture his next cash crop needs. Using the cover crops as animal feed is another dimension of diversification. And diversification is another way of saying you have options, which can be very helpful when dealing with changes (in climate, or markets, or anything else). Practices that improve the water storage capacity of soils—like no-till—can lead to improved resilience to climate variability in the future. Photo: Jennifer Cole/USDA under CC BY 2.0. My work revolves around research on climate change and agriculture. Do these profiles focus on research? No. Climate change? No, not really. Are they relevant to my work? Absolutely. There are multiple connections between increasing organic matter in the soil and climate change. On the one hand, soil organic matter is roughly 50% carbon. The more you store that carbon in the soil, the less that is in the form of greenhouse gases in the atmosphere. In the inland Pacific Northwest, some of the most important impacts from a changing climate are tied to water: warmer temperatures (more demand for water), drier summers, less snowpack (so less irrigation water later in the season). Practices that improve the water storage capacity of soils can be a key win-win for improved yields and production now, and improved resilience to climate variability in the future. And though Aeschliman’s and Poole’s practices are not research per se, it is the combination of research and these real life examples of farmers who try out new ideas and approaches (or retry old ones) that tells a story worth learning from. Do these farmers wear rose-colored glasses? By no means. Both Aeschliman and Poole talk about the challenges they faced in transitioning to no-till, and that trial and error was needed to find what works for their location and their operation. Success is not guaranteed. But they have been successful. Their examples can help those looking to prepare for the changes that are in store for agriculture in our region. And as we complete a series of case studies featuring ranchers, we’ll be sharing their innovations and resilience stories as well, so stay tuned! The stories were originally published as part of the REACCH-PNA Producer Profiles series. Read John Aeschliman’s story on the REACCH-PNA website or in the March 2017 issue of Wheat Life (p. 60). Read Doug Poole’s story on the REACCH-PNA website or in the May 2017 issue of Wheat Life (p. 54). 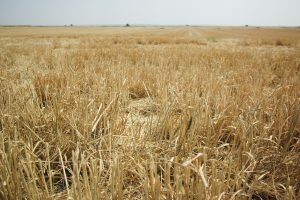 2 thoughts on "Real-life agricultural innovation: implications for future preparedness"
It’s good to hear about more and more farmers using no-till practices. I’m proud of my husband’s family that have been using no-till farming practices since the early 1980’s! I still recall my awe when I saw that huge Yielder drill for the first time! Thank you Terri! Where does your husband’s family farm?